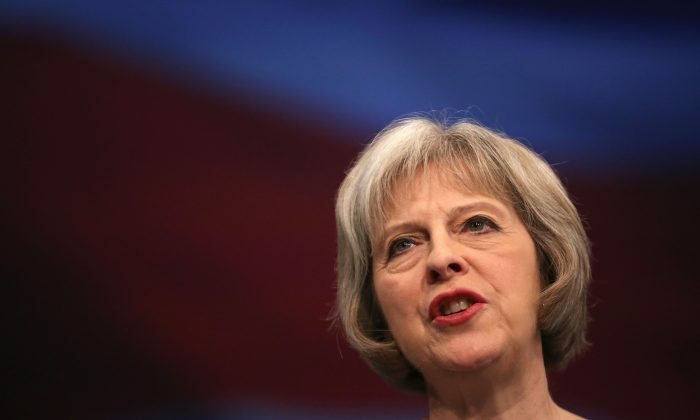 U.K. Home Secretary Theresa May unveiled the text of the long-awaited draft of the Investigatory Powers Bill, which would expand the surveillance capabilities of British security agencies. One of the more controversial clauses in the bill would require Internet-service providers to keep a log of customer browsing histories for 12 months. A list of domain names, but not the specific URLs, would be available to the police and security agencies, but not local authorities, without a warrant. The bill has been marketed as a toned-down version of a 2012 surveillance bill that aimed to tackle the rise of terrorism, cyber-attacks, and human trafficking, and that would have enforced the collection of data from overseas companies and communication service providers and banned encryption. “Today’s Bill represents a significant departure from the proposals of the past,” May said in a statement. Many existing surveillance practices would be legalized by the bill, including the hacking of devices by the police, compulsory cooperation with companies to crack encrypted data, and bulk data collection. The bill has become a lightning rod for civil liberty activists. “After all the talk of climb-downs and safeguards, this long-awaited bill constitutes a breath-taking attack on the Internet security of every man, woman, and child in our country,” said Shami Chakrabarti, director of Liberty, a U.K.-based civil liberties organization, in a statement. The bill has been dubbed the “Snooper’s Charter” by its detractors. Also included in the bill are safeguards for more intrusive types of surveillance. The interception of the content of emails or social media messages and eavesdropping on telephone calls would be authorized only after the approval of the Home Secretary and a senior judge, which May calls a “double-lock.” However, in “urgent cases” surveillance can take place for five days when approved only by an official selected by the Home Secretary or the Scottish ministers. The bill would also codify into law the Wilson Doctrine, insuring that MPs wouldn’t be spied on without the approval of the prime minister.